YouTube has begun purging its popular video hosting platform of channels that challenge the narrative coming out of the mainstream news media across a wide spectrum of topics. This has led to outright terminations and strikes against some of the more popular channels, which have been exhorting viewers to question the conventional news narrative. These channels have been accused to be participating in hate speech or bullying due to them vigorously addressing controversial topics, transgressing norms of political correctness, or exploring evidence that some national tragedies may have been false flag attacks. Among the topics that appear to have attracted the attention of YouTube censors are disclosures by QAnon, which allegedly involves information released by covert U.S. Army Intelligence operatives. 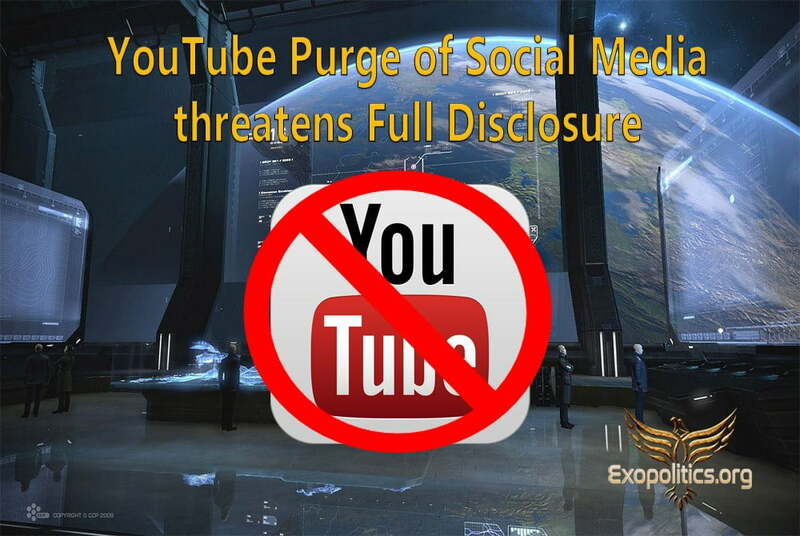 The YouTube video purge not only has grave implications for free speech, but can also seriously impact on the prospects for full disclosure of secret space programs, UFO’s, and the advanced technologies and hidden intelligence behind these. 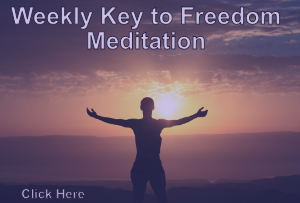 These subjects have been successfully kept secret for decades due to mainstream media either ignoring or ridiculing their seriousness, or by removing journalists from their positions for covering them. I found this out first hand as a “citizen journalist” for the Examiner.com online newspaper where I had over 50 million pages views for over 300 articles written from 2009 to 2015. All my content was summarily removed when a new editorial policy was adopted where “exopolitics” and many other alternative news topics were no longer considered legitimate news. Hundreds of citizen journalists writing highly popular blog articles were dismissed without any appeal process. All this badly backfired on the Examiner which by July 2016 was forced to shut down. It’s no surprise then that the CIA has been found to have compromised media organizations in order to shape the mainstream media narrative. I would not be surprised that the Examiner had been similarly compromised. Therefore, any attempt to suppress alternative media sources that challenge mainstream news is a threat to full disclosure. YouTube, owned by Google, has very recently begun using an army of 10,000 moderators to police the thousands of videos uploaded to its platform on a daily basis. In addition, progressive liberal organizations such as the Southern Poverty Law Center are being used as “Trusted Flaggers” which target YouTube users that vigorously challenge the mainstream news narrative. Strikes are issued by the moderators and/or flaggers with only a very brief reference to the category of the YouTube community guidelines that has been allegedly transgressed. s No detailed explanation is given for the strike nor is the individual moderator(s) or organization behind the strike identified. Among the first YouTube channels to be terminated under their three strikes policy was the Richie Allen Show on February 22, which had over 76,000 subscribers and 1,400 videos. Jordan Sather’s Destroying the Illusion channel was terminated on February 26 (120,000 subscribers), as was Jerome Corsi’s channel (34,000 subscribers) on March 1. Strikes were also given to Alex Jones/Infowars ( 2.3 million subscribers and 33,000 videos), Mark Dice (1.2 million subscribers) and a growing list of others. When challenged, some of the strikes have been reversed, and channels restored as occurred with Corsi, who received White House support from back channel discussions. Interestingly, both Corsi and Sather were giving a lot of coverage to the QAnon disclosures. Officials linked to QAnon may have even stepped in to save Corsi’s channel. Sather instead has created a replacement YouTube channel called Destroying the Illusion 2.0., where he plans to continue examining the QAnon material, secret space programs and many other topics. The long-term prospects for YouTube channels and news sites challenging mainstream media narratives does not look good due to the moderators and flaggers actively posting strikes against many channels challenging mainstream news narratives. YouTube, Twitter and Facebook are at different stages in downgrading, hiding and/or terminating alternative media sites in a transparent and foolhardy effort to get people to buy back into the mainstream media narrative on topical issues. YouTube, along with Twitter and Facebook, are destined to fail since there is a growing social movement that simply doesn’t trust the mainstream news narrative, which many believe is hopelessly compromised by Deep State actors such as the CIA. This is a phenomenon that is not going to be reversed during the Trump administration given the highly partisan nature of American politics, and the rapid growth in the popularity of the QAnon revelations which are being followed by as many as 20 million people (Q post 809). What YouTube, Twitter and Facebook are doing is only highlighting how they have been compromised by individuals and groups that have a vested interest in hiding the machinations of the Deep State, and covering up the truth on an extensive number of topics. In the meantime, it would be wise for individuals to support alternative media by directly visiting the websites of content providers, which are not controlled by YouTube, Twitter and Facebook. Subscribe to RSS feeds, email lists, etc., of your favorite sites, and don’t become too dependent on social media platforms such as YouTube, Twitter and Facebook, which are only going to continue to terminate accounts of those not supporting the mainstream media narrative. Here is a list of alternative social media platforms that don’t censor posters. In the case of information concerning secret space programs and “exopolitics” I recommend subscribing to the RSS and email feeds of exopolitics.org which is my personal site, or exonews.org which hosts a diverse collection of exopolitics authors, and stories from around the internet. As far as the YouTube purge of channels promoting the QAnon information, the quick reinstatement of the Corsi channel after possible White House intervention raises hopes that this new policy direction may similarly backfire on YouTube and Google, as it did for Examiner.com back in 2016. The threat posed by the YouTube purge is very real and preemptive steps need to be taken by all who value alternative news perspectives, and desire social media to be an effective means of promoting full disclosure. Many folks are diversifying and moving to GAB, Steemit, BitChute, etc. Most folks who lost their u2b channel have websites. Be sure to sign up for their newsletters and you’ll not lose touch with your favorites. SOME, of so-called “Light-workers” and fake alternative news site should be removed because THEY Lie a LOT…Like Infowars and such. But where REAL TRUTH come out, the Morons running YouTube that suppress try to HIDE it actually are EXPOSING them selves, when they try to hide it. Their efforts to hide REAL TRUTH will “Back-fire” on THEM…BIG TIME. Trying to hide TRUTH actually goes a LONG Way PROVING REAL TRUTH…THINK ABOUT THAT! When truth is posted, and then “Suddenly” removed…It works like an ADMISSION OF TRUTH…UNDERSTAND FOLKS?? ?